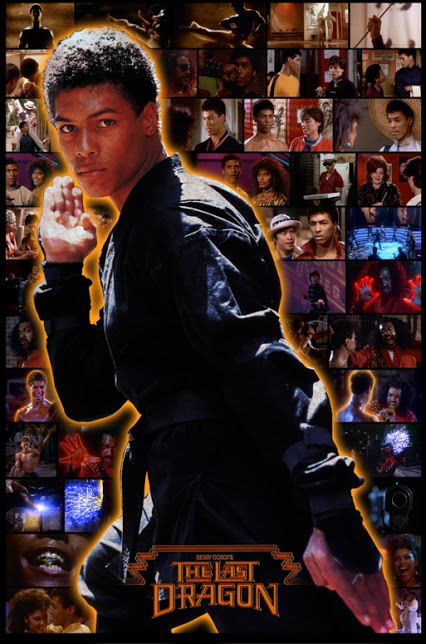 Pasadena based Incorgnito Publishing Press is presenting a national tour screening of the cult classic The Last Dragon with personal appearances by the movie’s co-star Taimak Guarriello. The tour includes the launch of Taimak’s autobiography, Taimak, The Last Dragon. You can meet Taimak today in Detroit at The Maple Theater, 4135 West Maple Road, Bloomfield Hills, Michigan 48301. A Q & A with Taimak will follow each screening. The Glow tickets are limited by event and sell out so reserve them now! They may be gone before the performance night!! General Tickets without the glow benefits on sale via the Maple Theater website. Note: VIP & General tickets will also be on sale at the Maple Theater if available. The Last Dragon is a cult martial arts film originated by Motown legend, Berry Gordy. The film debuted in 1985 and though critically not well received, it was a financial success, grossing over $33 million, making it the highest grossing martial arts film of the time. The film pays tribute to marital arts legend Bruce Lee. Combining pulsating music, cutting-edge dancing and the best in non-stop action, producer Berry Gordy’s cult favorite features an amazing Motown soundtrack, including music by Stevie Wonder, The Temptations, Vanity, and DeBarge performing “Rhythm of the Night.” Directed by Michael Schultz. Prince protege Vanity, Taimak’s co-star, recently passed away from kidney failure, the result of drug abuse in her early years. 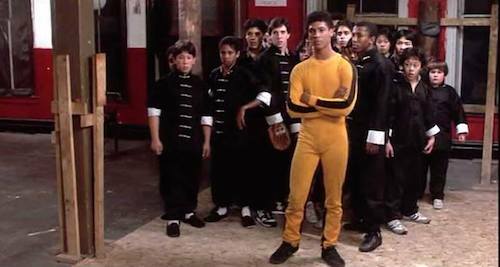 In The Last Dragon, a martial arts student (Taimak) on a quest to obtain the elusive all-powerful force known as “The Glow” must battle the evil, self-proclaimed Shogun of Harlem—a kung fu warrior known as Sho’nuff (Julius J. Carry III)—and rescue a beautiful singer (Vanity) from an obsessed record promoter. The Last Dragon was released on Blu Ray by Sony in August of 2015 to celebrate the 30 th anniversary of the film. It has since been screened to sold-out audiences in select cities and remains a favorite to decades of inspired fans. The film launched Taimak onto the Hollywood scene and introduced a few notable actors including Chazz Palminteri and William H. Macy. 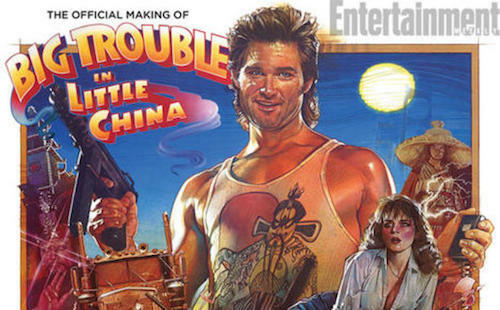 This eighties cult classic film is a unique blend of action, comedy, romance, fantasy, martial arts philosophies and Motown music. Featuring the unforgettable larger-than-life villain “Sho’nuff”, the meanest, prettiest, baddest mofo, lowdown around town! It’s also an underdog story that resonates with anybody who’s ever felt bullied, underestimated or a little different. From helping people to understand it’s ok to be different or teaching the power of believing in yourself, Berry Gordy’s ‘The Last Dragon’ is an inspirational action film with a deeper message that connects with generations of fans. Taimak Official Website. About the Actor/Author – Taimak is a versatile actor, director and writer as well as a nationally recognized marital arts expert. At the age of eighteen, he won the New York State Kickboxing Championship and was inducted into the Martial Arts Hall of Fame in 2010. He has worked as choreographer with such notables as Debbie Allen, Jaime King, Madonna, former rock band Bush, and many others. He has guest starred on several national television shows including “A Different World,” “Alley McBeal,” “Red Shoes Diaries” and “Malcolm and Eddie.” His stage appearances include the highly successful Roadhouse the Comedy at the Barrow Street Theater in New York City and in the national tour of Cheaters. He is making his directorial debut with a film noir detective story titled, “I’ve Seen Things” (in pre-production). When asked why he chose to write his autobiography now Taimak replied, “I wrote the book in part because my fans thought I left them prematurely and I wanted to explain. And, because I wanted to give people of all backgrounds, something inspiring that would help them through their journey of life”. The tour kicked off in Seattle at the Seattle International Film Festival (SIFF) on April 1st and continues throughout 2016. A complete listing of cities can be found at here. About Incorgnito – Incorgnito Publishing Press is a small indie press that launched in January of 2015. The first two volumes of their 8 volume series, Chronicles of Ara, is in development with Ovation Television for an 8-hour miniseries. Full disclosure. 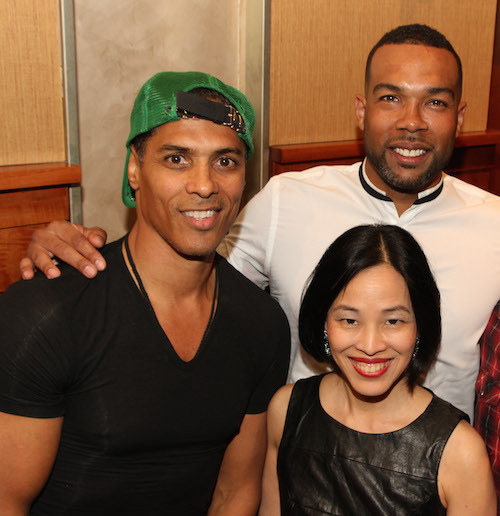 My big screen debut was in The Last Dragon as a student in Bruce Leroy’s dojo and it was wonderful to reconnect with Taimak at a recent screening of Black Salt presented by the Urban Action Showcase at HBO in New York. Check back for my in-depth interview with Taimak.